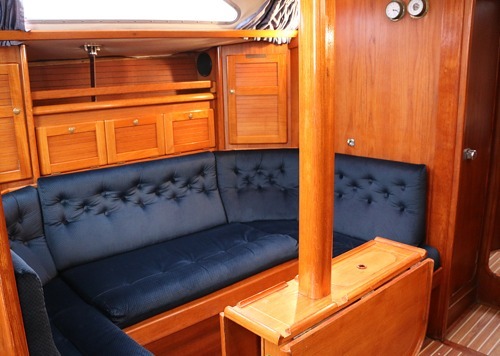 An ex-London Boat Show model with a DoT stability category 1 Hull, she has teak decks, carries a powerful conventional rig and large self tailing winches. 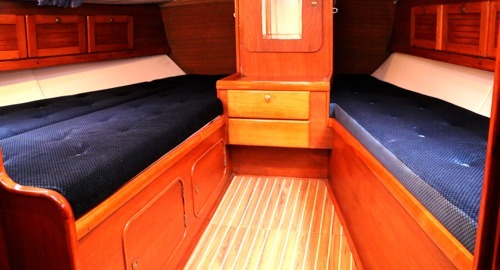 She has good windward performance, exemplary seagoing qualities and the 10 berths are arranged so that 7 can sleep in comfort without using the saloon. 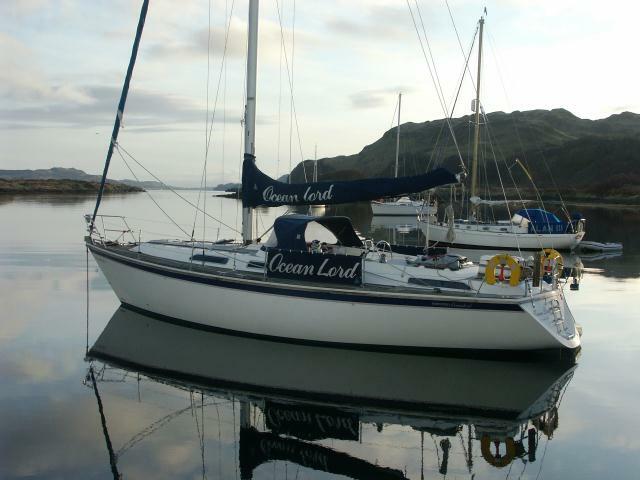 Equipment includes roller furling, new mainsail and 140% genoa, GPS, Raymarine wind/depth/log, stereo, brand new 3 burner ‘Dometic’ cooker, refrigerated cool box, pressurised hot & cold water system, inflatable tender, electric/manual anchor windlass and a propeller stripper. 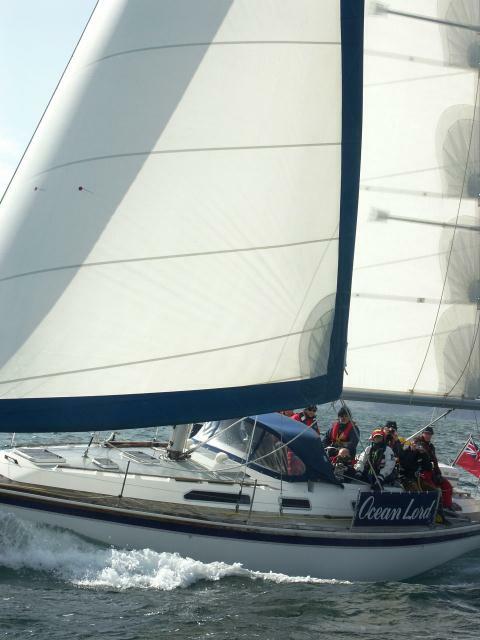 She has recently had a StakPak system fitted to make raising and lowering the mainsail a breeze. 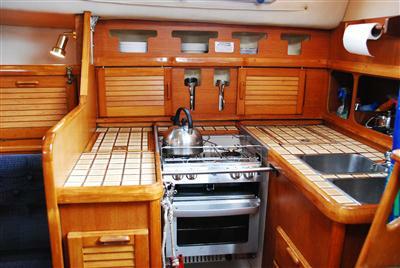 She was recently fitted with new decks and a new powerful Volvo diesel engine and gearbox. 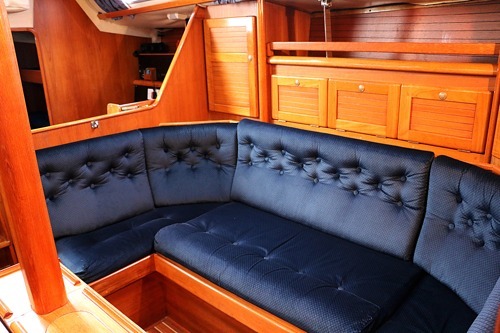 Last year she was completely re-upholstered and all the lighting was replaced with something brighter, more modern and energy efficient. 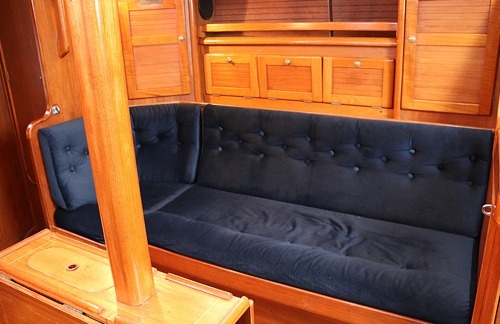 For the 2019 season she is being fitted with a new, powerful windlass, the cockpit seating is being replaced with teak and the galley is being completely updated. The propeller is also being replaced to give lower engine revs at cruising speed for better economy and a quieter environment on board. Over the winter of 2018/18 her entire interior is being removed and replaced – every inch of headlining – all the hatches, portlights and windows will be removed and all the headlining replaced before everything is re-installed. 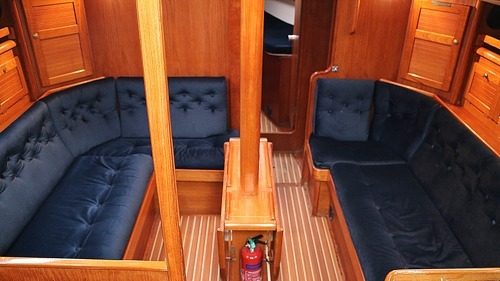 We will also take the opportunity to strip and re-varnish all the woodwork resulting in an entire interior refurbishment. By spring 2019 she will look stunning. 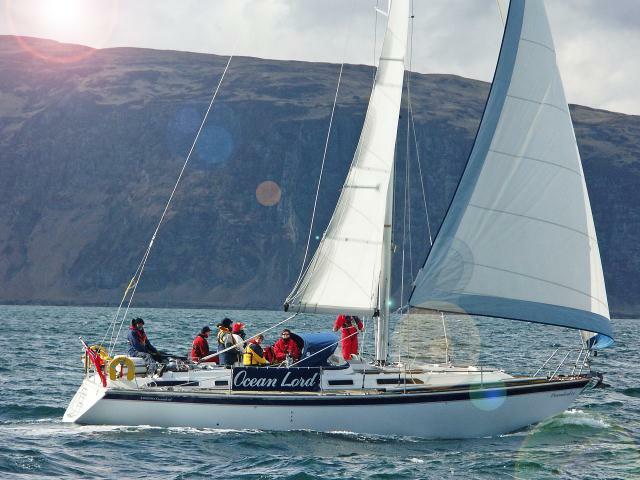 ‘A tough boat and a joy to sail – they don’t make them like this any more’ – sadly!